The historian William Hogeland talks about the first war the United States ever fought and the “problematic and thorny and painful” questions his new book raises. 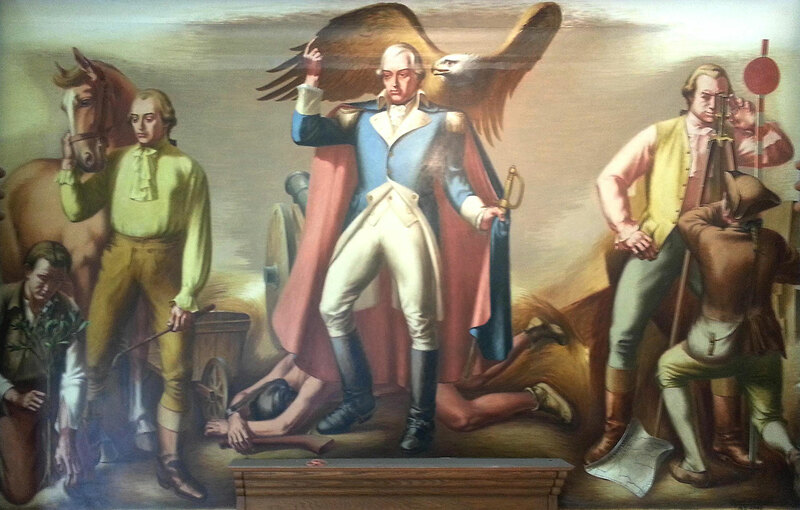 Alfred D. Crimi's mural in the Wayne, Pennsylvania, post office, a project of the New Deal-era Works Progress Administration, depicts Anthony Wayne trampling an Indian underfoot. © United States Postal Service. All rights reserved. Understanding this war undermines happier pictures of the founders as benevolent toward indigenous people. If there couldn't have a been a country without conquest, that should make us question what we do now with our power.